Since our creation 20 years ago, by WIll Brush, Essex Arboriculture, still a family run business, has ensured it has consistently delivered a very positive customer experience helping people with their private and commercial arboricultural needs. 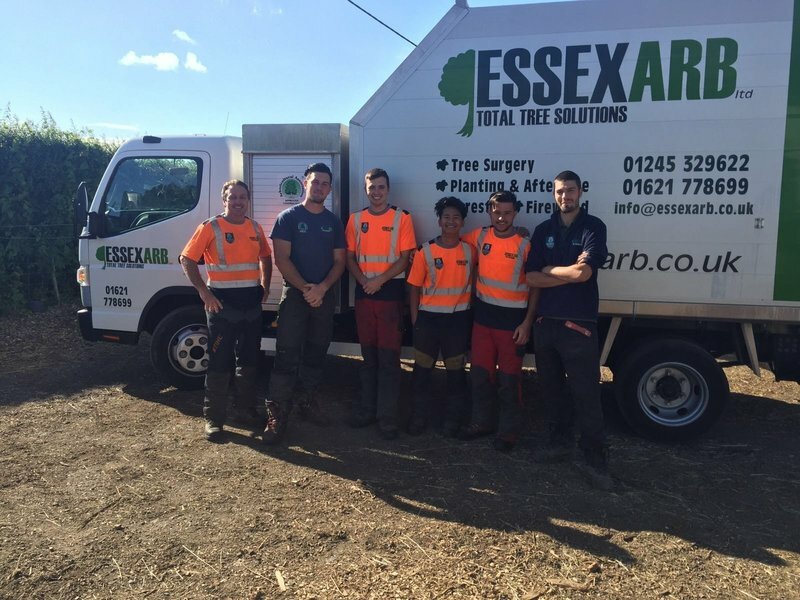 We are a highly focused and friendly team providing Essex with the highest quality total tree solutions - shaping the look and feel of gardens, commercial landscapes and woodlands. Working as experienced tree surgeons in Essex we offer a no-obligation free quotation service and undertake a wide variety of work from small tasks only taking half an hour to complete, to large projects and management programmes which may span several months. 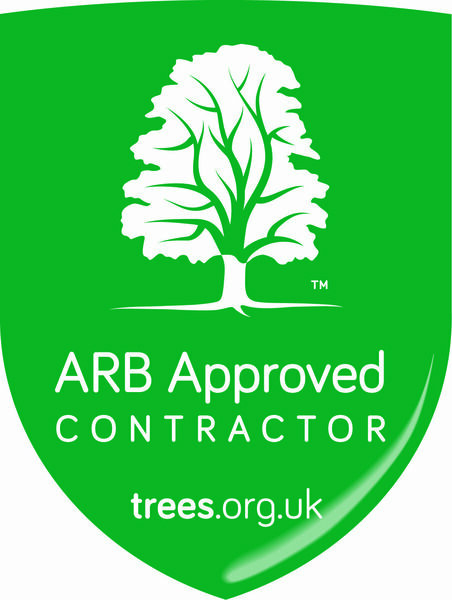 Essex Arboriculture is one of only a few Arboricultural Association Approved Contractors in Essex which means we achieve the highest standards of best practice in finished work, customer care and Health and Safety. All our staff our fully qualified and we hold insurance/public liability of £10 million in value. From the time of enquiry through to the completion of the work Essex Arboriculture were courteous and efficient. The two gentlemen who carried out the felling of the out of control conifer and pyracantha at the end of my garden on 20th March were polite, efficient, very professional, careful and tidied up thoroughly after the work. Excellent service in every respect. Very happy with this firm in every respect. Efficient administration, prompt response to all enquiries, polite and courteous workers, arrived on time, clearly competent. Extremely happy with the result and impressed with how they tidy they left the garden. Would recommend them without hesitation. I booked Essex Arb to remove a large tree in my garden and 3 stumps which previous owner had left in the ground. The quote was competitive and in all dealings their staff appeared very knowledgeable and conscientious. From quote to completion I was very satisfied and they left the garden as tidy as it could possibly be after the work carried out. I will continue to use them and wholeheartedly recommend this company. I have used Essex Arb for both the removal of trees and the supply and planting of trees and have been very impressed by them. They turn up when they say they will, are very polite and their prices are extremely competitive. Would recommend to anyone. I have used Essex Arb on three occasions; to reduce an oak tree in my garden and to remove trees and stumps. It is instructive to note that when the Local Authority trees officer came to sanction the work and advise on the extent of the reduction he reacted with high praise when he learned that Essex Arb were to carry out the work. He indicated that he had complete confidence that the work would be carried out competently and in full compliance with the regulations relating to such trees. I can unequivocally commend Essex Arb to anyone contemplating tree work. We recently used Essex Arb to carry out tree felling and a general sort out of the trees in our garden. We had two teams of three working for three days, the efficiency and professionalism of both teams was exemplary. I would definitely recommend them and will certainly use them again in the future. Great professional and friendly service! We have used Essex Arboriculture Ltd several times from maintaining laylandi, reducing a cherry tree and clearing a large area of scrub land. Each time they came and gave a free no obligation quote and when we decided to go ahead they were able to schedule the work in quickly. I find that because as part of their free quote they do all the appropriate checks with the council regarding if any of the trees have tree preservation on them (as I think if you do anything to one of these it's the home owners responsibility) and nesting birds etc., you don't have to worry. They are also fully insured and adhere to strict Heath and Safety rules (so I don't have to worry about my husband going on about needing a chainsaw and possibly loosing limbs!!). The cherry tree that we had reduced was very large and we had delayed having it done as we really liked the shape of it but we needn't have worried the guys are so skill it was as if it had shrunk! They had managed to keep the shape but reduced it by about 3 metres (it really was a large tree!). The guys cleaned up completely any debris and to be honest it was cleaner than when they started and not just the garden the driveway too where they had taken all the bits cut off to their van to take away. So I am very happy to recommend them to anyone that needs work doing. The workforce at Essex Arb were very knowledgeable and helpful. Before they left they made sure that we were satisfied and asked if there was anything else that they could do. We were very pleased with the result.